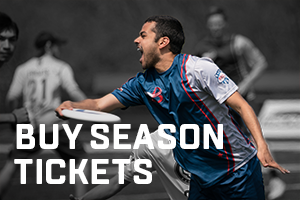 Established in 2013, the DC Breeze proudly represent the District of Columbia and National Capital region as they launch their seventh American Ultimate Disc League (AUDL) season in 2019. The Breeze have earned a playoff berth in the four of the last five seasons and enjoyed the franchise's first postseason victories in 2016 and 2017. With 23 wins in their last 26 home games, the Breeze have proven they know how to win at home in front of their terrific fans and look forward to continual success in 2019.